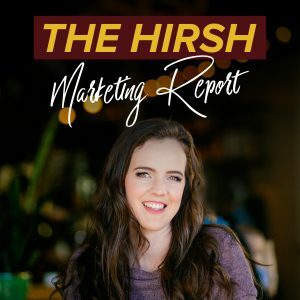 How I set myself up for a six figure launch while running my agency, managing clients and being a mom. I know that you get it, creating something that you are sooo proud of (even if people in your circle don’t share your enthusiasm) and launching it to see the results. About six months ago, I decided to launch a course and from that moment it was all hands on deck, “let’s do this, team” go time! I run a very busy agency with over 40 active clients at any given time. I also have about a bajillion ideas running through my head every day about other the passive income streams that I want to create. 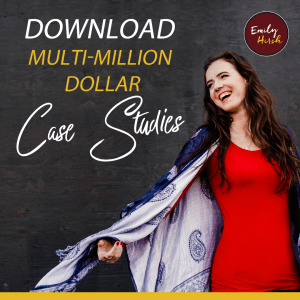 So how are you supposed to create courses and other fun things in your business if you’re covered up with one on one client work? It’s something that I know many of you struggle with so I’m sharing how I made it work for me this time around. Dedicate time every day to do all of the things. I added two hours to my calendar every day to create content and whatever else was on my list of things to do. If you don’t carve out time, it will be very hard, if not impossible for you do get things completed. Delegate where you can. I created my audios for the course and I delegated slide design, videos, copywriting, design, course creation and just about everything else so all I really had to do was create the content and record it. You may not be able to delegate all of that, especially if it’s your first course, but definitely stay in your zone of genius as much as you can so you can get your course published quickly and as stress-free as possible. Allow one on one clients to fund your delegation process so you can grow quickly. If you’re feeling like creating your course is taking FOREVER think about what you can do to create more income to apply to the delegation in your course creation process. Take on more clients, offer a new package, whatever you need to do to get the ball rolling. You’ll never regret it… ever! I hope that’s helpful for you and remember, you don’t have to be where I am in your business to be a success. It takes baby steps and a strategic plan to build on what you have right now. Here’s to your upcoming 6-figure launch, whether that’s a month from now or 5 years from now!